Wikto is an Open Source (GPL) web server scanner which performs comprehensive tests against web servers for multiple items, including over 3500 potentially dangerous files/CGIs, versions on over 900 servers, and version specific problems on over 250 servers. It’s Nikto for Windows basically with some extra features written in C# and requires the .NET framework. 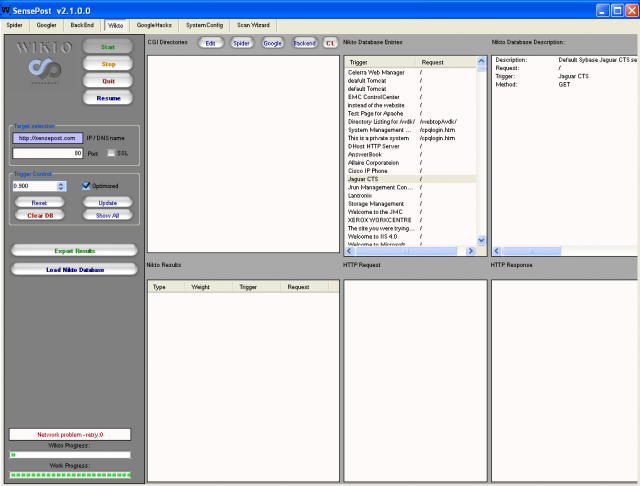 Wikto is not a web application scanner. It is totally unaware of the application (if any) that’s running on the web site. Read the rest of Wikto Scanner Download – Web Server Security Tool now! Only available at Darknet.